Whether there’s a clear narrative involved in Creaks or an ambiguous undertaking that throws the player into an avant-garde world where nothing makes sense remains to be seen. 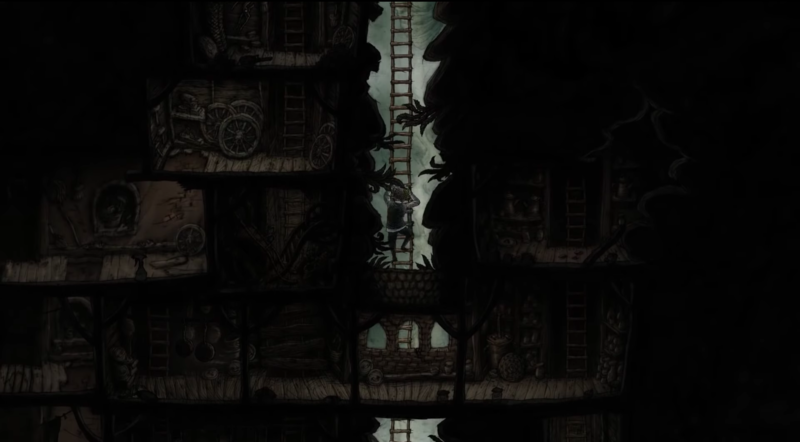 Going by the teaser and how the game’s main character winds up in another world after entering a crawl space in his room, it seems the game will rely more drawing the player into a narrative shrouded in mystery, where motivations are driven by investigating otherworldly phenomenon. There have a been a huge number of side scrolling adventures released in 2018, and they don’t seem to be slowing down any time soon. Mega Man 11, Yoku’s Island Express, and Guacamelee 2 were some of the bigger side-scrollers to grace our presence this year, with more on the way. Are side-scrolling fans excited about Creak? Let us know in the comments!